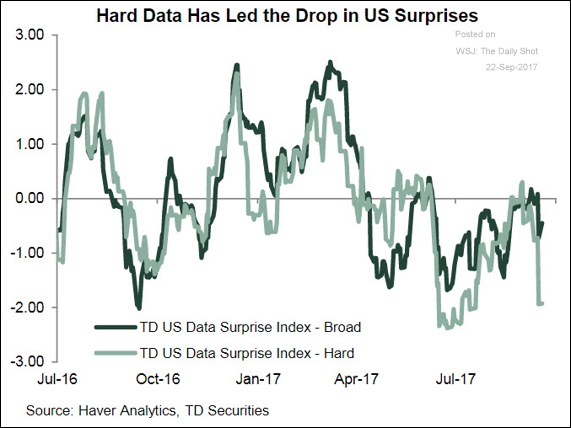 The United States: “hard data” has been disappointing lately. This weakness, according to many economists, was to a large extent driven by Hurricane Harvey. 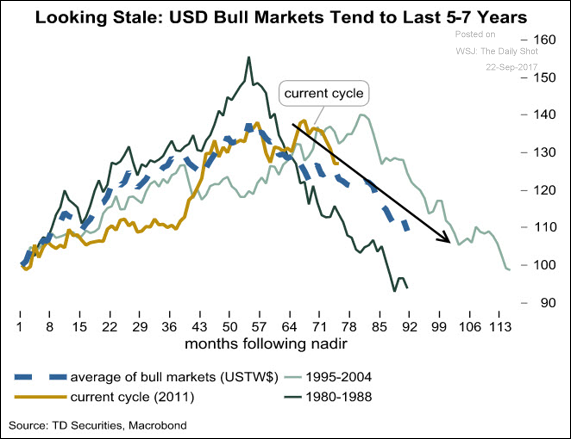 Will the dollar continue to weaken, boosting US export competitiveness? Historical trends tell us that it’s a real possibility. 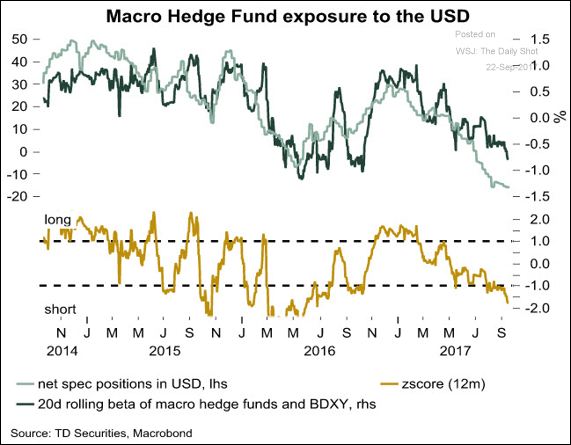 And hedge funds are betting on it (second chart below). 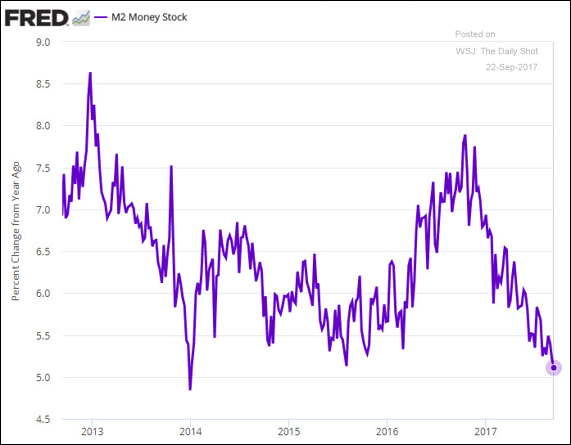 The growth in US broad money supply keeps trending lower, indicating slower bank lending activity. 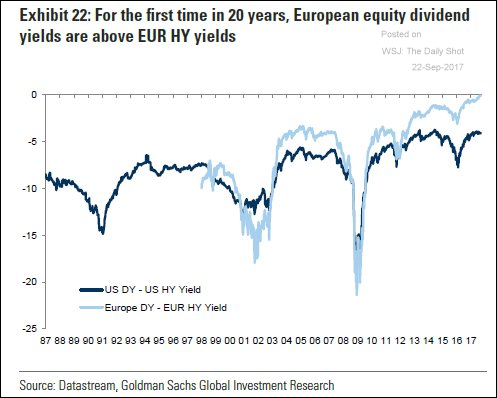 Credit: This chart shows the spread between the stock market dividend yield and the yield on HY bonds (for European and US markets). In Europe, the two yields have converged. Something is wrong with this picture. 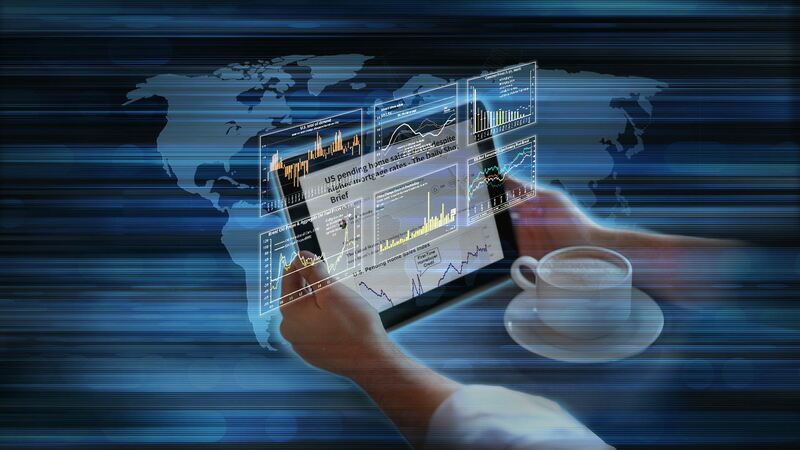 Rates: Rate market volatility continues to contract. 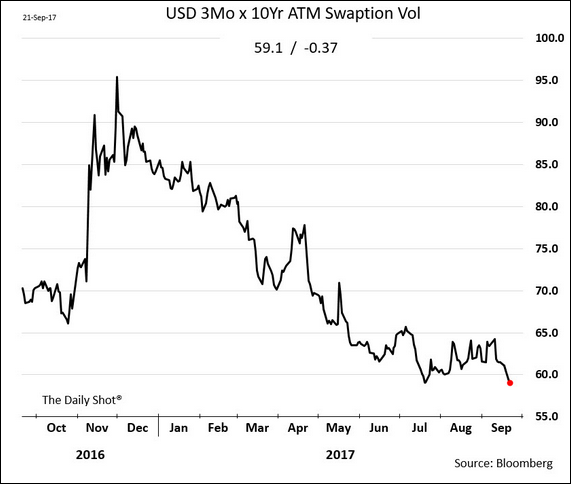 Here is the 3m x 10y swaption implied vol. 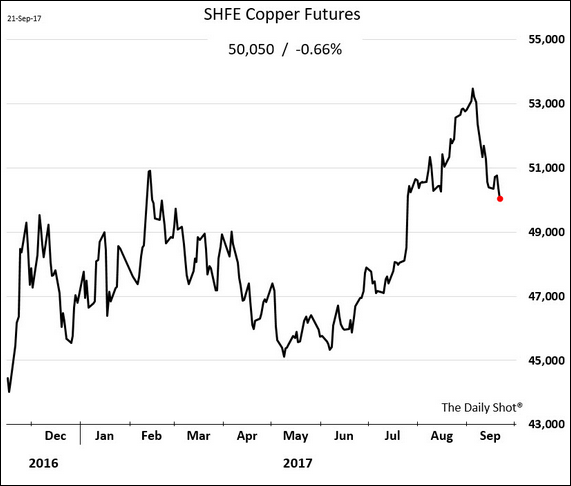 Commodities: China’s industrial commodities rally is rapidly reversing. 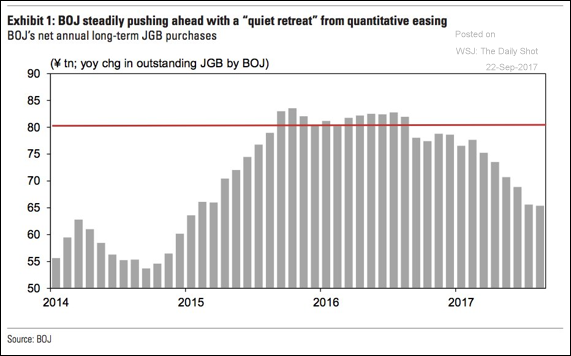 Here is copper, steel, and iron ore.
Japan: The Bank of Japan is gradually slowing its purchases of JGBs. 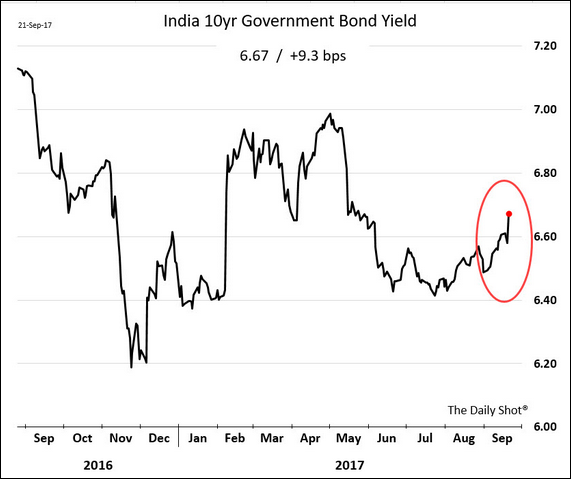 Emerging Markets: India’s debt yields jump as some investors become concerned about the nation’s fiscal situation. 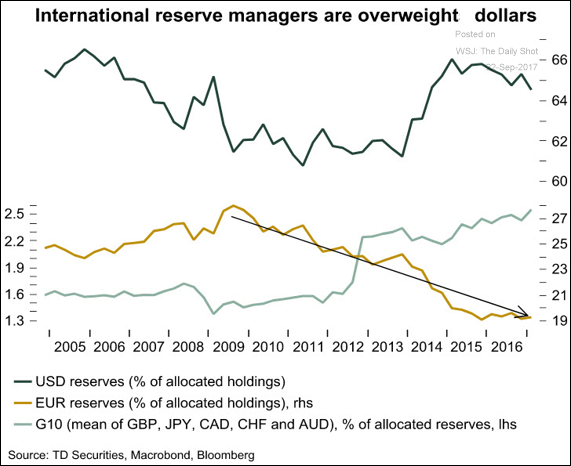 The Eurozone: The euro’s use as a reserve currency has been declining since 2009 (as % of total reserves). 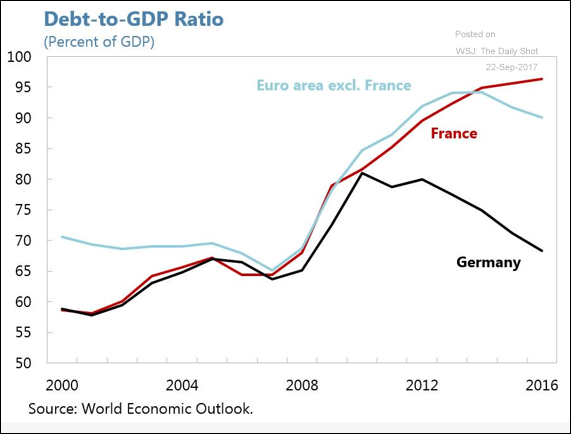 This chart shows a widening gap between the French and the German debt-to-GDP ratios. 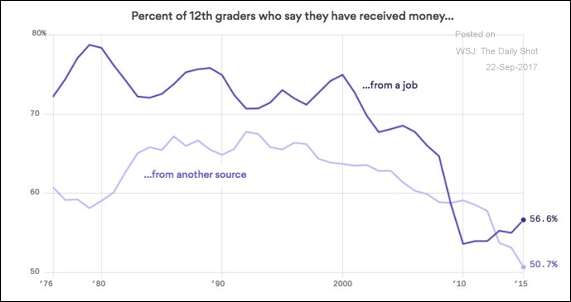 Food for Thought: Fewer teens have jobs.